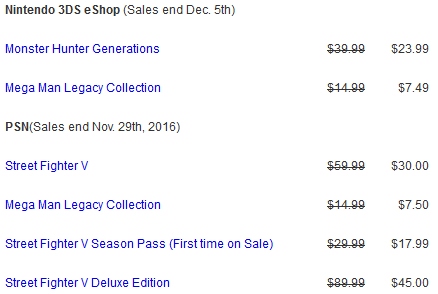 Speaking of CAPCOM sales, this is the first holiday opportunity in a long time that they haven't reduced the sales price for an Ace Attorney game. Could the era of massive price slashes for Ace Attorney games be over?!? From the Nintendo Holiday Gift Guide 2016. Do note that it's a New Nintendo 3DS, and not a New Nintendo 3DS XL. The difference is that this model is smaller, and is compatible with a line of face-plates that they don't even sell in stores. ...Yeah. Plus, it's an edition with Super Mario crap all over it. You want that plumber (and his brother) on your New 3DS? I sure wouldn't. Sure, there's a Koopa Troopa and a Lakitu there, but they aren't slitting human-scum throats so I'm not very pleased by it. Are you pleased by anything Nintendo is offering for sale this holiday? Have you actually made a purchase? If you actually have decided to buy something and need to replenish your funds, have you looked into participating in the KoopaTV Loyalty Rewards Program, which gives out Nintendo eShop codes, and for this round from November to December, Amazon codes, as well? 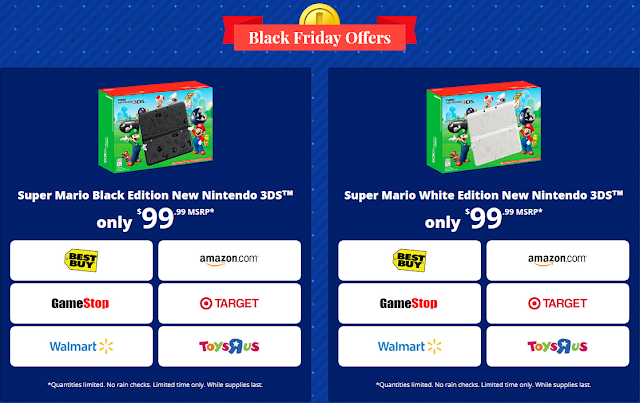 This article is quite reminiscent of last year's Black Friday deals article. The games on sale for the Thanksgiving Cyber Deals are mostly different than the ones for the sale following E3 2016. There actually is an Ace Attorney sale after this. It only took a month. The Cyber Deals for 2017 DO have Ace Attorney on sale! Maybe Capcom thinks it's too soon for an Ace Attorney sale after the one around Spirit of Justice's launch? It's never too soon for an Ace Attorney sale! They sell face-plates in Nintendo NY. That counts, right? I was thinking about purchasing the black system, but since it sold out before I got the chance to order it, I decided that I'm just going to save the money for the Switch instead. One of my friends and his family tried to get his brother one of those New 3DSs on Black Friday. They couldn't find one, though, so he ended up getting a Santa hat with lights on it instead. *cough* I guess that works out? I assume that's a substantial cost-saving? The brother must've been disappointed. Very much so... on both counts. Dude needs an IOU. I got one of those back when the Wii came out. My mistake. I'm more used to using Miiverse for commenting, which doesn't allow nested replies. But look! ;) I think I've figured it out now. I wouldn't do an IOU for the specific limited edition (aka now impossible-to-get-besides-scalpers) New 3DS, though.